CarQuest Lewisporte is a family-owned and operated business. 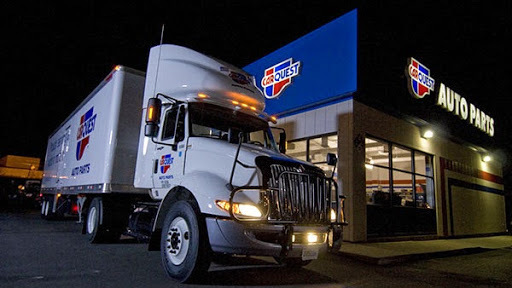 They take pride in customer service and make sure their customers are taken care of, always going above and beyond to make sure the customer leaves not just happy, but with the hopes that CarQuest will be their first choice when in need for future auto parts. Its really unfortunate that the only time you hear a review is when its a bad one.. but I guess its what they say.. the squeakiest wheel gets the oil. Keep up the great work guys, I know your customers appreciate all that you do. One more thing regarding a previous post.. What struggling student buys a 4-wheeler?! Honestly.. Maybe one should focus on their studies (with an obvious focus on math) and do less 4-wheeling.. Just a thought. My granddaughter purchased a quad from these guys only to find out later that it was the same one she had been interested in the day before but for a thousand dollars less. Because of all the lies that the guy at carquest told her about the quad it was too late when she realized it. These guys are liars and crooks! Not sure how they sleep at night doing these things, especially to a young woman who is struggling through college.